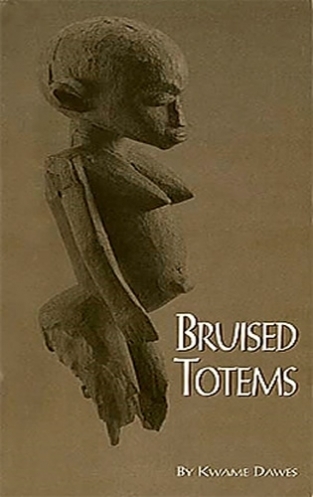 Bruised Totems is a collection of original poetry born out of the intended confluence of the thirtieth anniversary conference of the African Literature Association and the opening of an exhibition, “Perspectives: African Art from the Bareiss Family Collection,” at the Elvehjem Museum of Art, University of Wisconsin—Madison. The exhibit consists of some sixty pieces from the 800-strong Bareiss Family Collection of African Art. Dawes was commissioned to write poems about the art in the exhibit. The result is a beautiful collection of poetry and art with an enlightening introduction by Dawes.